Review of the the AMSOIL 45th Anniversary Convention. 2. 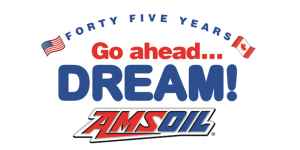 Change happens for a reason and AMSOIL INC is putting programs in place to benefit dealers that want to build a business. No welfare for those not working at it! 3. Direct Jobbers are the backbone of the dealer organization and they want to help us so we can help our dealers and make it successful for all that want it. 4. Don’t believe the electric vehicle hype… We will not have 100% electric vehicles. Most all will still have engines (hybrid vehicles) and will require oil, including engine and transmission Lubricants. 5. Actually there will be a more cars on the road in the next 20 years. 6. Higher performance requires better oil and AMSOIL makes the best (according to an industry additive company CEO) AMSOIL doesn’t scrimp on ingredients and seeks out oil formulations that are better than you can find anywhere. 7. AMSOIL Inc is responsible for brand awareness and will continue to advertise the brand online and offline to benefit all dealers. 8. 100% of all products sold go through the dealer organization. Dealers continue to get commissions and assigned customers if they become certified and maintain basic (very basic IMO) new customer acquisition requirements. 10. Go ahead and dream! Finding a social media niche literally hundreds of groups out there for anyone interested in any type of powersport. Actively grow your network. Where do people who have a passion for Cars, Trucks, Boats, Motorcycles etc congregate Online and Offline? Be accountable for your actions, keep a calendar! The #1 activity in your business is exposure to new people and prospects Double digits a day keep the commission on their way! Make Regular deposits into others emotional bank about…thinking about and caring about others. Feed their passion, when you take notice of what others are pasisonate about, they will remember you. Look for activity in your dealers and focus there. No action No focus, you can’t push a rope. 7 day Rule, always be in touch with your top leaders at least once every 7 days!